Below is some of the work that students in the health group did throughout the semester, including neighborhood profiles and field notes. Each assignment was meant to build a picture of the barriers and opportunities immigrants may face when seeking health services in Scaroborough. Students began by researching and writing up neighborhood profiles. 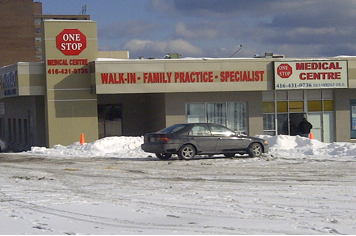 In additional to general information, their goal was to understand the landscape of health services for immigrants in the Kingston Galloway Orton Park community of Scarborough. Neighborhood profile 2 by Ziporah Edmund. Students were asked to go out into the field in the Kingston Galloway Orton Park area, conduct observations and take notes. This version comes from Nirosani Rahunathan who conducted observations in a neighborhood pharmacy. Finally, this sample comes from Katerina Lekoska who conducted observations in a neighborhood health centre. 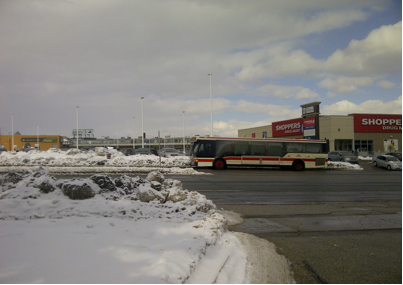 This photo demonstrates the public transit as an important transportation option for Kingston Galloway Orton Park residents. Taken by Katerina Lekoska during an observation session. 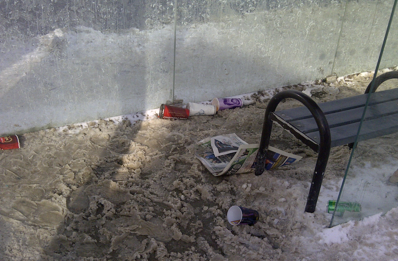 This photo demonstrates the barriers transit users may face when waiting for the bus in the winter. Taken by Katerina Lekoska during an observation session.